Driving without insurance in most states is illegal, but this does not mean that there are no uninsured motorists on roads and highways. The Insurance Information Institute estimated that in 2015, for example, up to 15% of all drivers in California were uninsured. The procedures to follow if you are in an accident with an uninsured driver are not significantly different from what you might do following any car accident. Your chances of recovering damages from your own insurance company will be much better if you follow a few simple steps. Contact the local police and file a report immediately after the car accident. The police who are called to an accident scene will help to keep the parties calm and to control traffic flow around the accident site. This will keep everyone safe and will allow the police to document the accident scene. A written police report about the accident will help you to verify your injuries and property losses with your own insurance company. Document as much evidence of the car accident scene as you can. The police will gather the evidence that they deem to be necessary, but you should also document and preserve that evidence on your own. Take photographs of all vehicles, including close-ups of vehicle damage. Get contact information from witnesses. Write down the time of day, the weather and road conditions, and the volume of traffic at the time of the car accident. Make notes of and photograph any skid marks on the road. Call your own insurance company within 24 hours after the accident. You should contact your own insurer to initiate a claim even if you have not purchased uninsured motorist coverage. Your insurance company will want to open its own investigation of a claim as quickly as is possible. Seek medical treatment, and follow all orders issued by the examining physician. Get a medical examination regardless of whether you believe you have been injured. Concussions and other injuries from car accidents might not be immediately apparent, and delays in seeking treatment can make an injury worse. Do not ignore advice and recommendations from your doctor, as failing to follow that advice might be used as evidence to show that you did not suffer an injury. Retain an attorney to help you negotiate with insurance companies. An experienced attorney can help you to navigate the communications that you will have with your own insurance company over reimbursement for the full amount of your medical and property claims. Your expenses will begin to mount quickly after your car accident, and you have no guarantees that your or some other insurance company will cover those expenses quickly or at all. 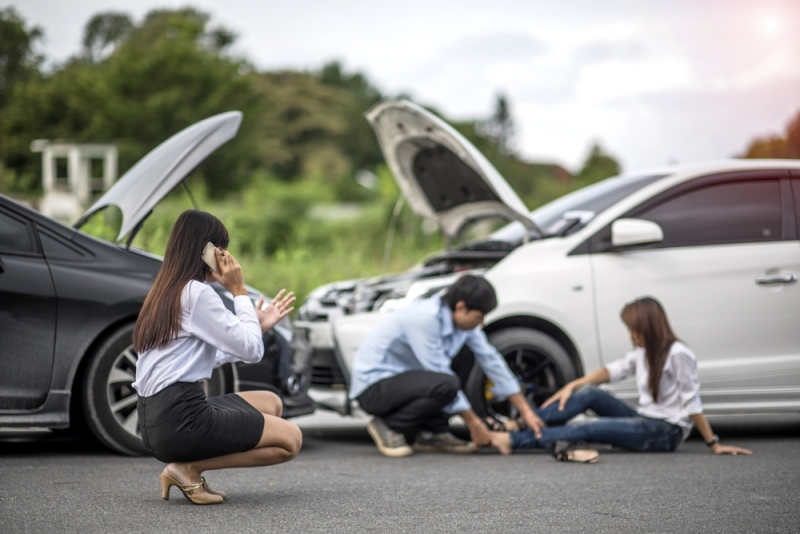 If your property losses and injuries from the car accident are significant, you will need as much help as is possible to get back on your feet. Hiring an attorney to interact with insurers will free you up to focus on your own recovery from your injuries with fewer distractions over the lengthy legal processes required to recover damages.